Commercial generators are benefiting greatly from miniaturization and other technologies that are allowing manufacturers to put more power into an efficiently-sized package. Below are some of top portable commercial generators for their size — along with insights on how to buy, maintain and operate these compact power plants. Consider the most efficient solution, which might mean more than one generator, running in parallel. Look for a generator or inverter that adapts engine speed to load conditions for better fuel economy. Remember that only a licensed electrician should connect generators to a building using UL-listed transfer switches. Do not connect to a building or system that is connected to the grid. Do not overload a generator and make sure it is connected to a proper ground. Do not fuel a hot or running engine. Never change the voltage selector switch while the generator is running, and run generators outdoors and away from doors, windows, vents and other openings to the building since generators give off carbon monoxide. 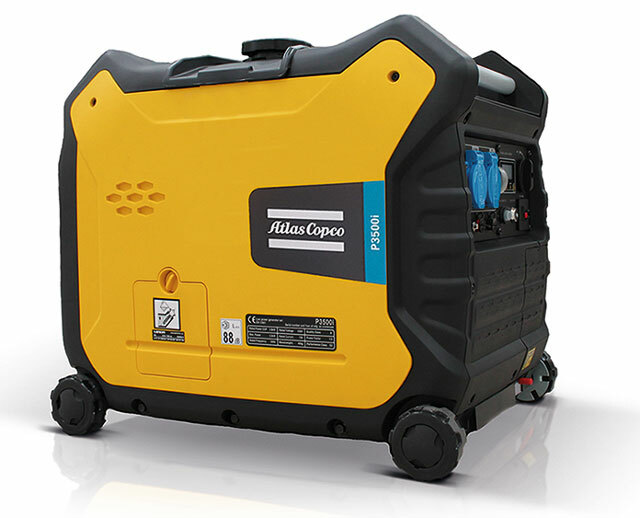 Favorite Model: For portable power, the P 3500i W is a great example of Atlas Copco’s inverter technology. The P 3500i W is very quiet [63 dB(A) at 23 ft], compact and you can parallel two units to have double the power. The variable speed smart control combined with paralleling capability translates into efficient power with the lowest fuel consumption, adapting engine speed to the load conditions. Expect to power up quickly with the recoil starter and electric key start (12V). Between the fuel efficiency and the large fuel tank, runtime is six hours at full power. Choosing a generator for professional use requires selecting a unit that can endure the rigors unique to a jobsite. Make sure the generator offers hardened features and thick steel construction, so it can endure getting banged around without damage. Consider a unit with a variety of outlets, including locking outlets, to accommodate a variety of tools. GFCI protection is a must for OSHA compliance. Idle control helps conserve valuable and costly fuel by slowing the engine down when no load is being applied. Even so, a large fuel tank that can provide at least eight hours of continuous running time is a must. 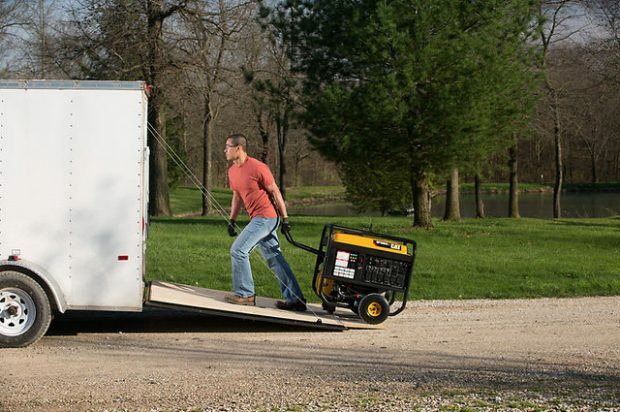 If renting the generator, make sure it’s easy to start and maintain, i.e., check and fill the oil. 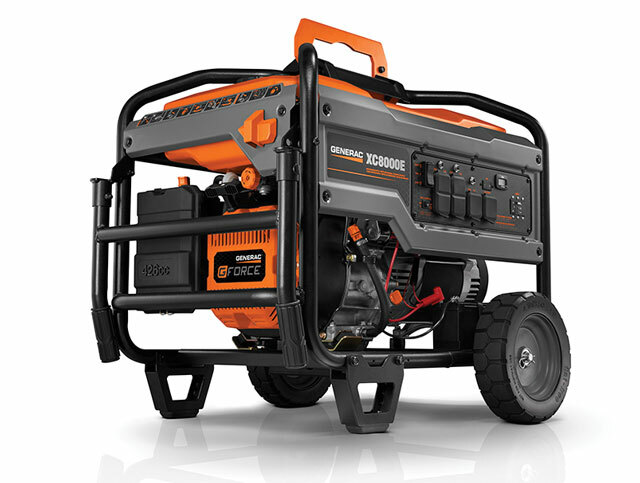 Favorite Model: I would pick our whole Generac Pro XC Series portable generators, driven by a Generac 426-cc G-Force engine that utilizes full pressure lubrication, reducing engine component wear for longer life. The G-Force engine has a full-response air intake and targeted heat dispersal design for effective operation and cooling on construction sites. The generator’s fully wrapped, 12-gauge steel tube X Frame protects the engine, alternator and fuel tank from damage. Instead of a lifting eye, the XC Series offers a steel lifting pocket designed to fit most forklift and telehandler blades for easier transport. High voltage from generators can kill. Do not operate in wet locations and only use UL-listed, properly sized transfer switch gear and properly sized cables or extension cords. Only connect generators to a building using a licensed electrician and UL-listed transfer switches. Make sure the generator is connected to a proper ground. Do not overload a generator. Never fuel a running or hot engine. The operator should never change the voltage selector switch while the generator is running. Make sure to read and follow the instructions. It is important for contractors to know what the total power requirement is for their generator. Favorite Model: I love our CPPG inverters, including the CPPG 2iW inverter and CPPG 3iW inverter. These are designed for contractors who require a clean and reliable source for alternating current (AC) power below 3,000 W. These inverters offer excellent fuel efficiency by adapting engine speed to load conditions. The models feature a rugged design, allowing them to operate in harsh weather conditions. Other benefits include portability and noise attenuation. This line is equipped with a recoil starter, making powering up extremely quick. It’s important for construction pros — who need ultimate durability and reliability — to avoid selecting a unit based on price alone. Be sure to look for a commercial-grade engine that will deliver in harsh conditions. Also, consider the warranty offered by the manufacturer as well as the level of service and support that’s provided. Some manufacturers even offer a free loaner generator to customers with any warranty repairs exceeding 24 hours. This type of coverage ensures that you’ll stay up and running and your profits will continue to flow if something unexpected happens and repairs are needed. 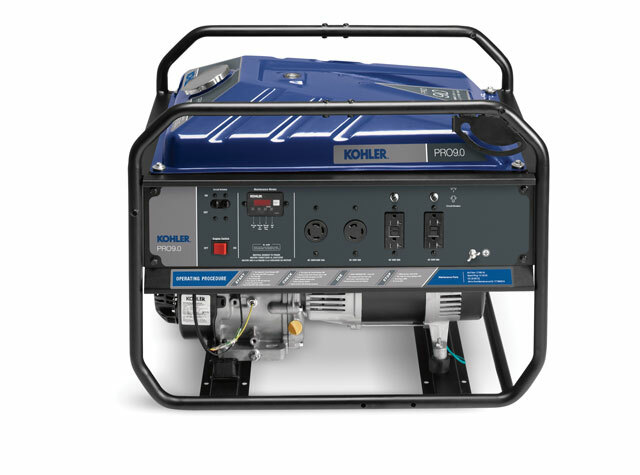 Favorite Model: Kohler offers a wide variety of portable generators to meet the diverse needs of our end-users, but my favorite models right now are our Tri-Fuel generators. These generators offer users the ability to select between three fuel sources — gasoline, propane and natural gas. To switch between the three fuels, users simply turn a dial and swap out the fuel hose. This next-level flexibility makes it possible to choose how to fuel your generator based on what’s readily available at home or on the jobsite. 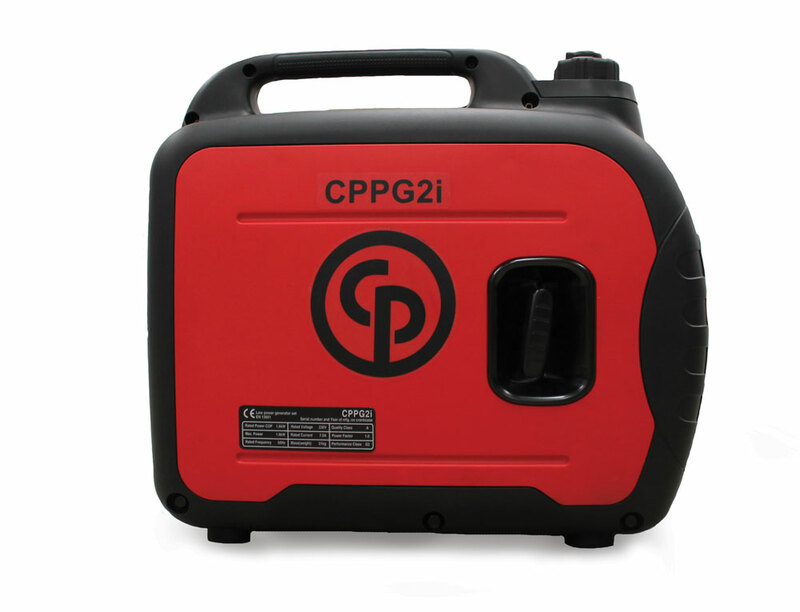 Check out more about portable generators here.